With scrupulous research and on-the-ground reporting, Nicholas D. Kristof and Sheryl WuDunn explore how altruism affects us, what are the markers for success, and how to avoid the pitfalls. 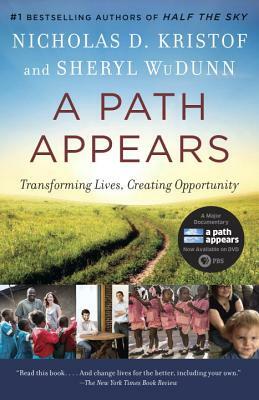 In their recounting of astonishing stories from the front lines of social progress, we see the compelling, inspiring truth of how real people have changed the world, underscoring that one person can make a difference. Nicholas D. Kristof and Sheryl WuDunn, husband and wife, have coauthored three previous books: Half the Sky, Thunder from the East, and China Wakes. They were awarded a Pulitzer Prize in 1990 for their coverage of China and the Dayton Literary Peace Prize for Lifetime Achievement in 2009. Now an op-ed columnist for The New York Times, Kristof was previously bureau chief in Hong Kong, Beijing, and Tokyo. He won his second Pulitzer in 2006 for his columns on Darfur. WuDunn worked at The New York Times as a business editor and foreign correspondent in Tokyo and Beijing. She now works in banking.